Karamba Diaby : Ay Karamba: Made in Germany: Hermann Bredehorst - editorial and portrait photographer Berlin, Germany. 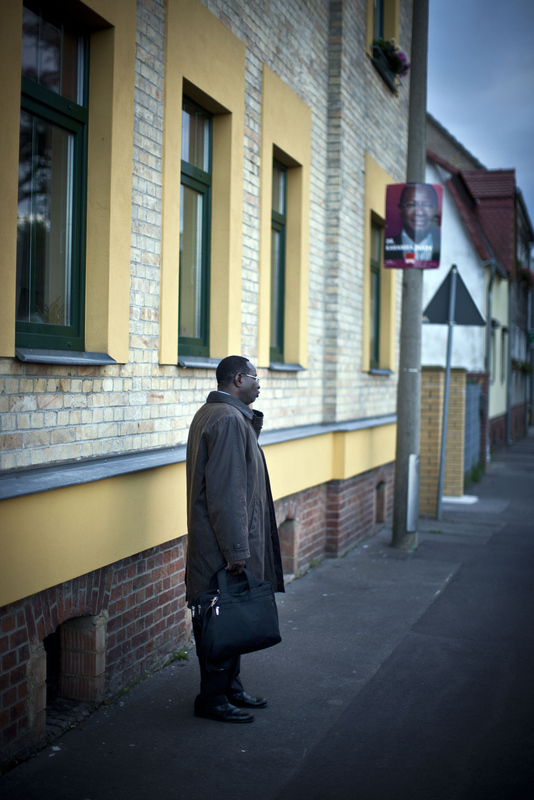 Senegalese born Karambe Diaby , Social Democratic candidate for the German Parliament talks to his family on the phone while being on the campaign trail in his constituency in Halle/Saale. Diaby, a PhD in chemistry, canvassed the former hub for East Germany's chemical industry to become the first black member of the Bundestag in German history.